← What Can You Do When Someone You Love is Down in the Dumps? Sometimes I don’t put all my effort into doing the little things. I make my bed each morning but leave the comforter crooked or I hammer a nail but don’t make sure it’s totally straight. I forget that success can be measured each day by doing the next thing right. And that “thing” can be big or small. 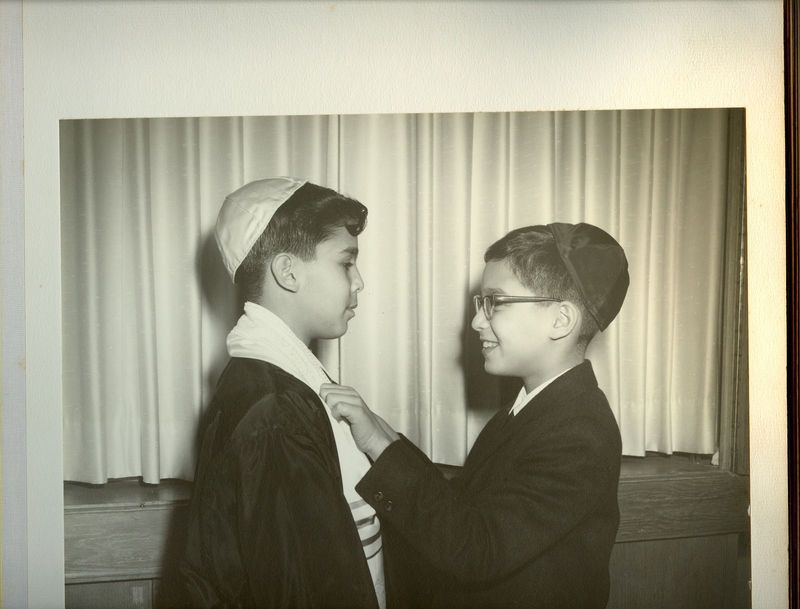 It doesn’t have to be a bar mitzvah speech (as in the photo of my husband Jonny before his) to do the best I can. I can make an effort to do every little thing as well as I can. My friend Amanda used to say, “positive acts build self-esteem.” What she meant by that was: every task can be done in a positive way and that makes us feel good about ourselves. I’d always believed that once I’d feel good about myself, then I’d go through my day cheerfully but the opposite is true. We have to do our life well – every aspect of it – and then we feel better about ourselves. We can use our daily chores as experiments in living well. We can do our laundry, set the table and smile at the dour guy in the stationery store. Practicing doing the simple things well enables us to handle the bigger things with more confidence. And the other reward is that we lived the best we could for today. Is there some task or chore or errand that I can do better – and feel better about myself today? This entry was posted in Being a Hero In Your Life and tagged bar mitzvah, doing our best, oy vey, self-esteem. Bookmark the permalink. Thanks for the reminder; it’s so true. I would appreciate it if you could drum this message into my children so that when they do a little job/task/chore they do it correctly the first time (ending with a good feeling) instead of just rushing to get it done in which case they are called back to spend more time to correct which leads to negative feelings and tension or, I wind up correctlng it if they are unavailable leading to the aforesaid negativity as well.